Want to know how many calories are burned by an exercise? The exercise calorie calculator provides the answer. This is because the exercise calorie calculator contains calorie estimates for many popular exercises. Several sources are used by the exercise calorie calculator, Also, if any exercise appears in several sources, you will get a range of calorie burned estimates. The exercise calorie calculator uses calorie estimates from the United States Department of Agriculture. They assume a 154-pound man. Furthermore, this 5' 10" man will use up (or burn) calories listed for the activity in the table. As a result, those who weigh more will use more calories. Also, those who weigh less will use fewer calories. The calorie values include calories used by the activity. In addition, they include calories used for normal body functioning during the time of the activity. The exercise calorie calculator uses the following data from www.bodybuilding.com. The exercise calorie calculator uses the following data from Harvard University. The data shows calories burned in 30 minutes of the activity described in the first column. Child games: hop-scotch, jacks, etc. The exercise calorie calculator uses data from business insider. The basis for the data provided here is the Centers for Disease Control and Prevention (CDC). According to the CDC, an average American women weighs 168.5 pounds, has a height of 63.7 inches, and a waist circumference of 38.1 inches. Furthermore, the average American man weighs 195.7 pounds, has a height of 69.2 inches, and a waist circumference of 40 inches. The data below is based on a women weighing 160 pounds, and a man weighing 200 pounds. In conclusion, the data from the exercise calorie calculator, can be used to estimate calories for daily activities. In addition, they can help estimate calories burned in exercise related activities. 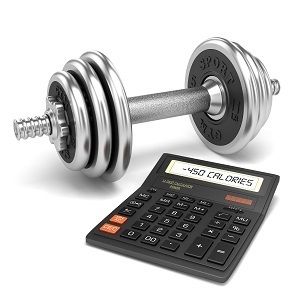 Finally, the exercise calorie calculator can help in selecting activities based on interest and calories burned.